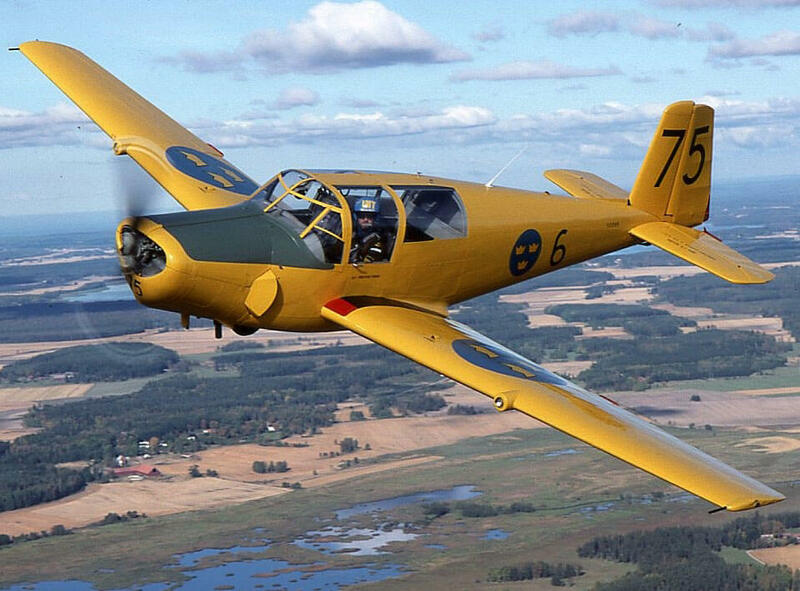 The Avro Athena was a British Advanced Training aircraft designed to replace the Harvard aircraft. 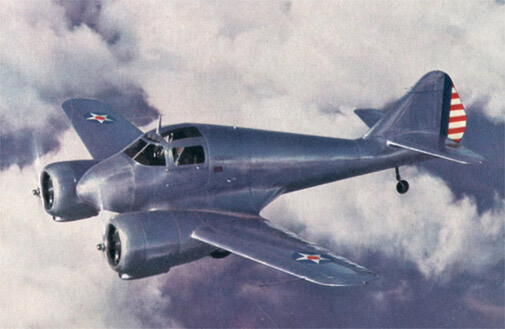 It was originally designed for a gas turbine engine, and the first three prototypes used this. However the RAF had large stocks of Merlin engines and the type was re-designed to utilise this engine. 15 examples were built and used for a short time by the RAF. 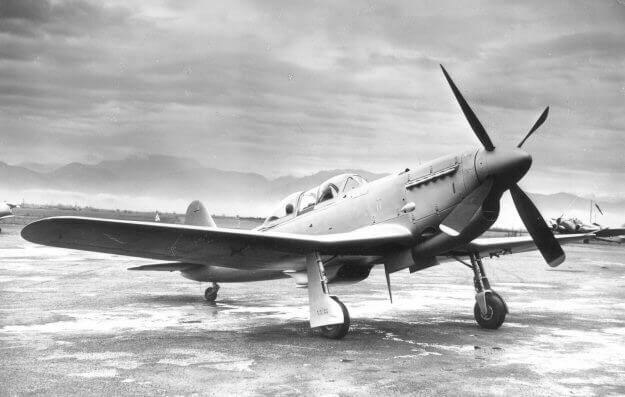 However the RAF preferred the Boulton Paul Balliol so no further Athenas were built and its RAF career was short. 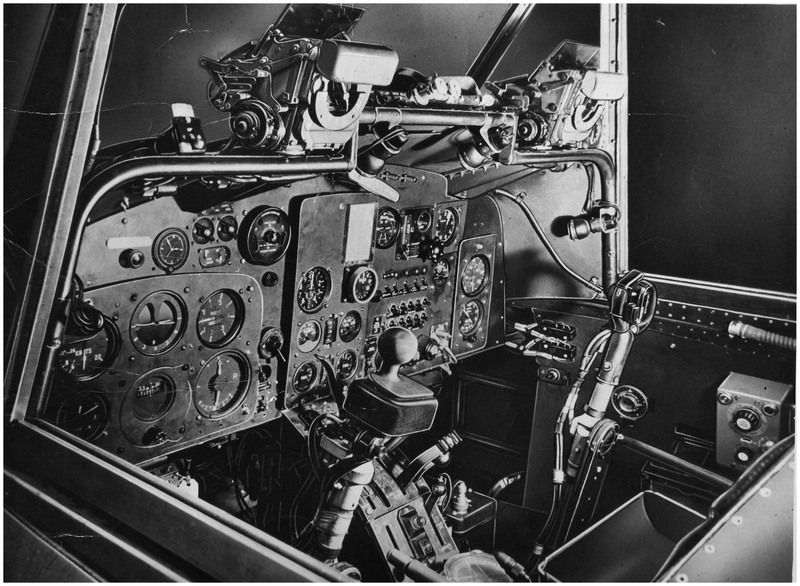 The title includes the flight and maintenance manuals for the Avro Athena, plus a detailed publicity brochure and a flight report. The files have been scanned from the original manuals and retain any colour pages. RAF Pilot’s Notes for the Athena T.Mk 2, AP4289B-PN dated June 1950, with approx 39 pages. 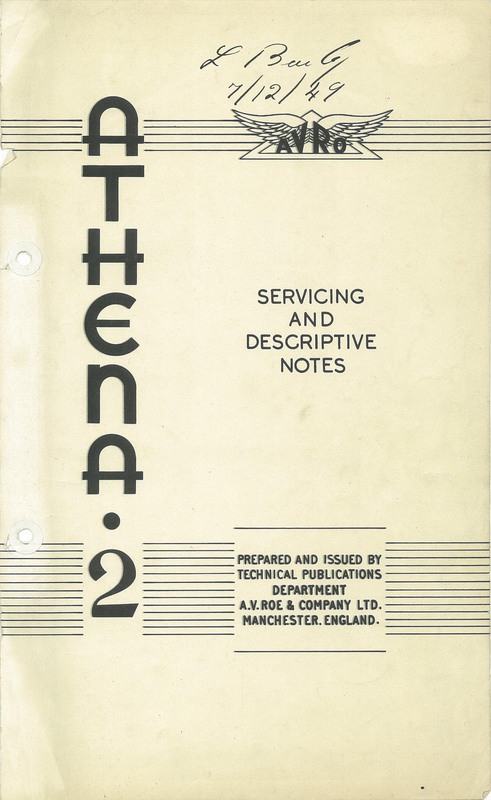 Manufacturer’s (draft) Servicing & Descriptive Notes for the Athena 2, undated with approx 406 pages. 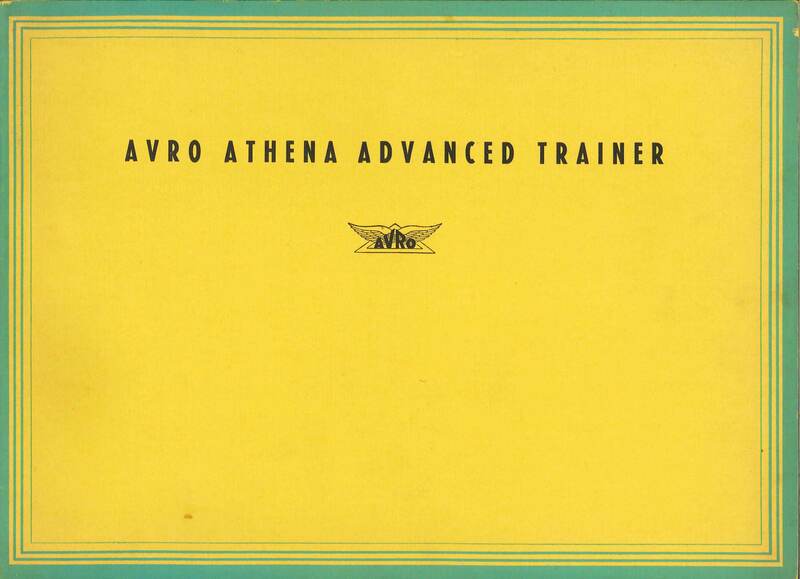 Manufacturer’s descriptive brochure for the Avro Athena Advanced Trainer, dated 1949 with approx 39 pages. 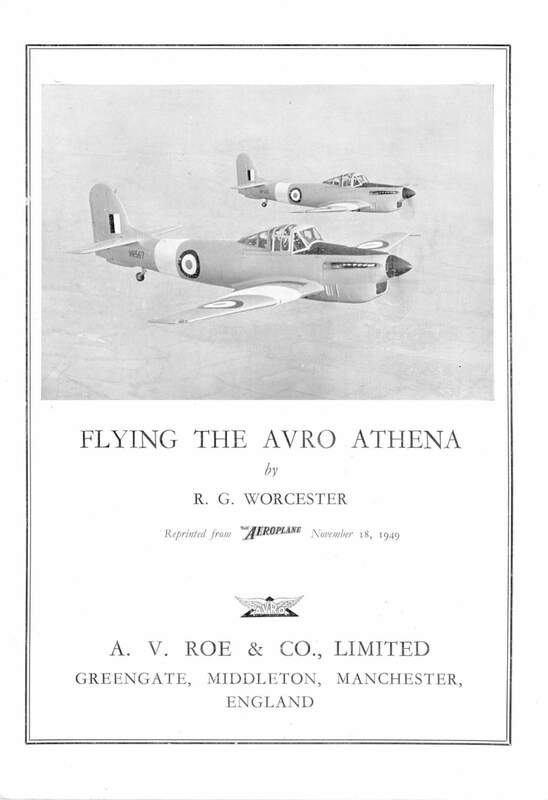 Reprint by A V Roe Ltd of four-page article from the Aeroplane magasine dated 18 Nov 1949 titled “Flying the Avro Athena”.